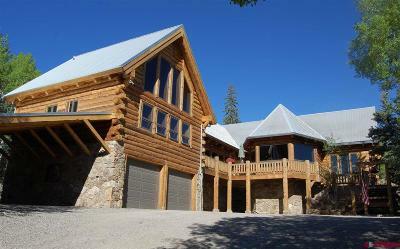 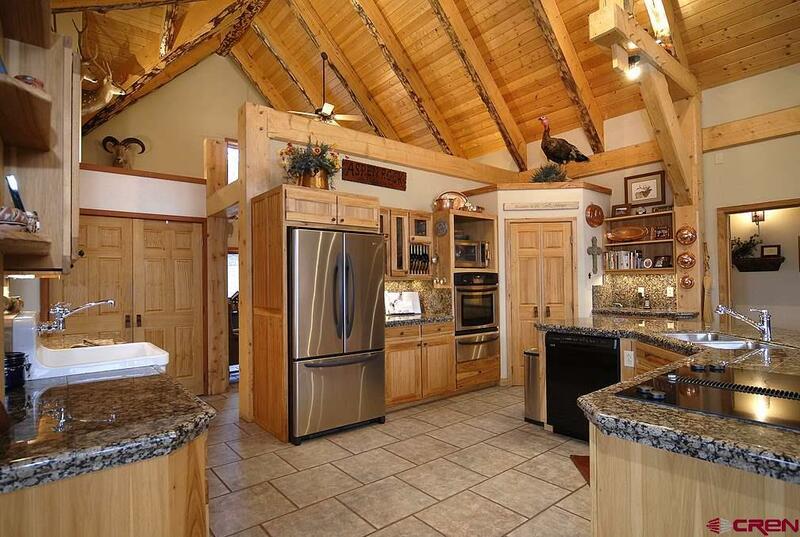 Custom timber frame home designed and built by Steve Albright Builder. 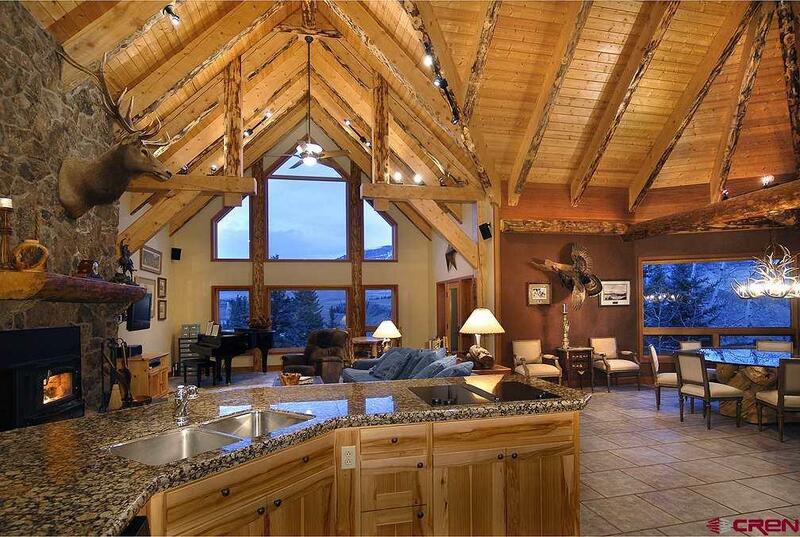 20+ foot beamed cathedral ceilings throughout. 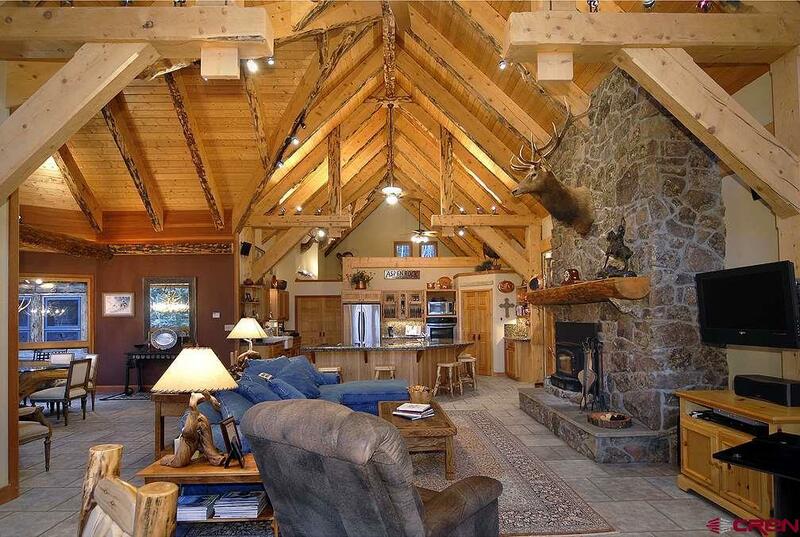 Large great room with massive natural rock fireplace. 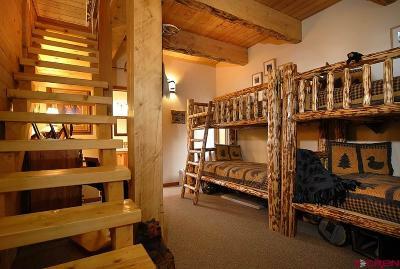 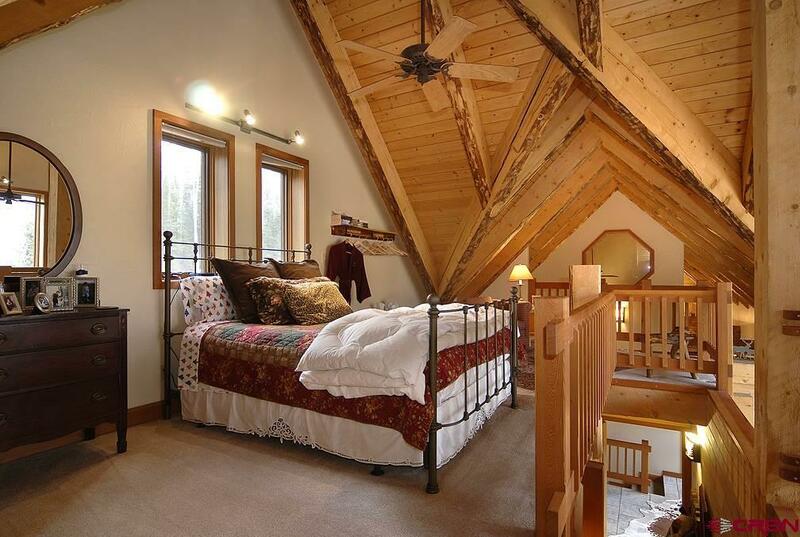 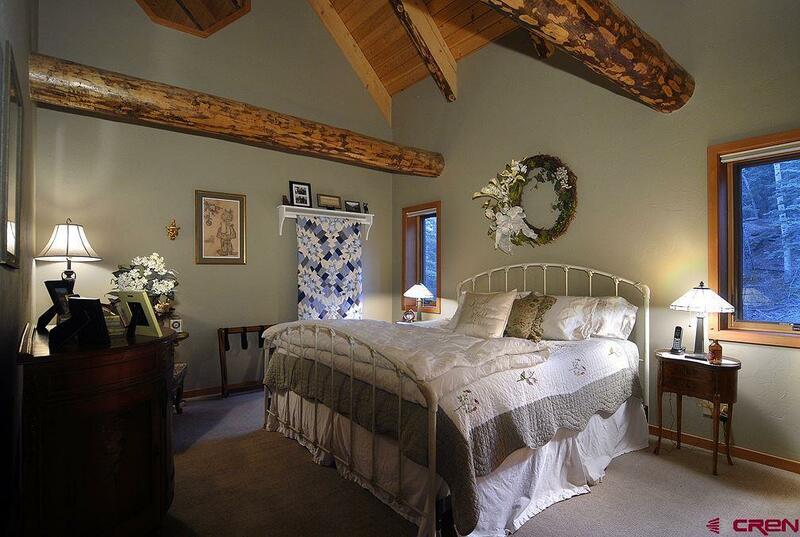 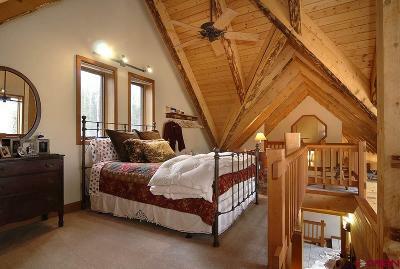 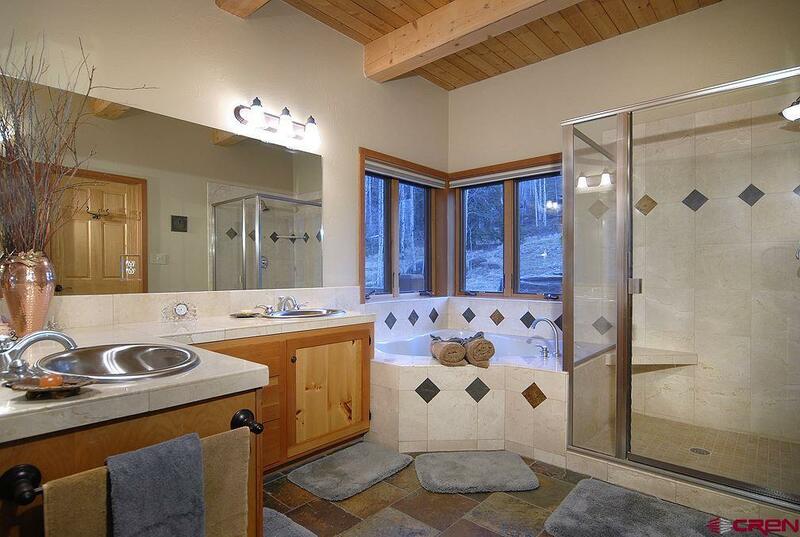 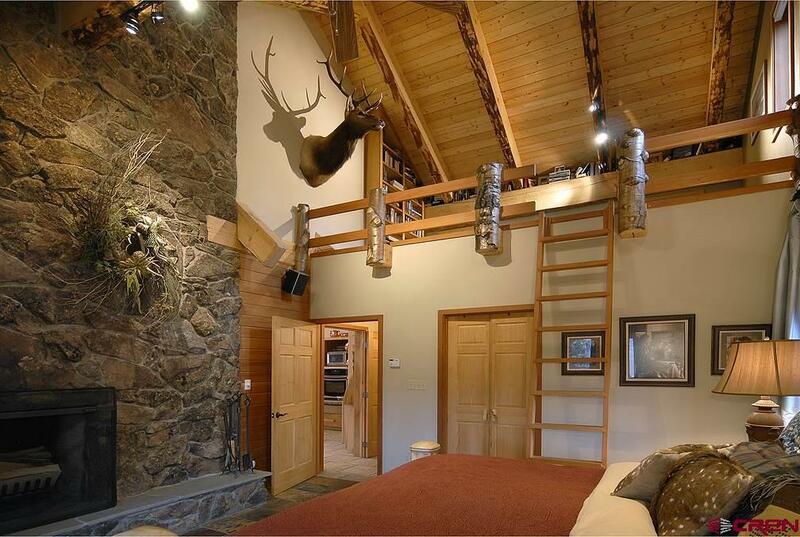 Master bedroom suite with full bath, seating area, fireplace, and private deck. 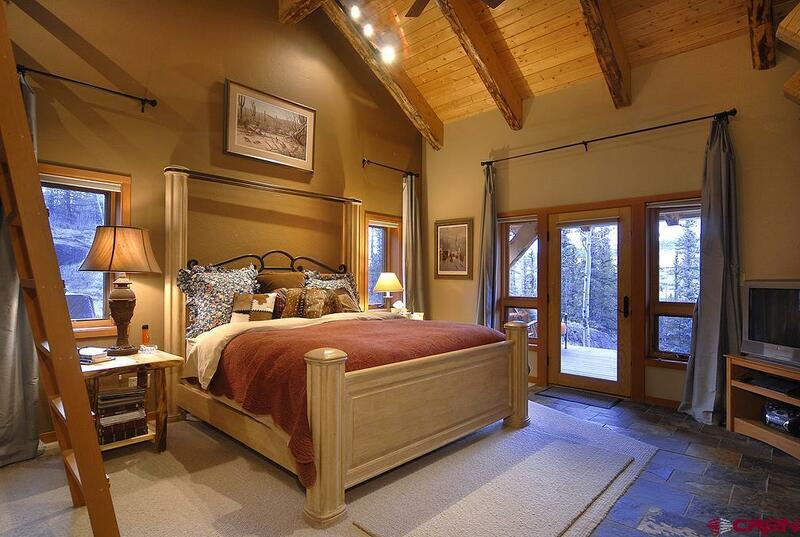 Luxurious guest bedroom with full bath. Study/office. 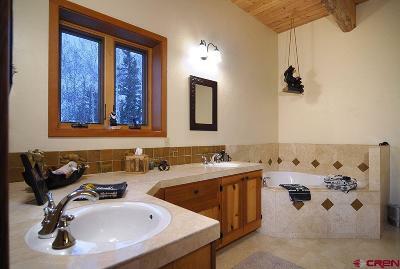 Additional 2 bedroom family suite with sitting area and full bath. 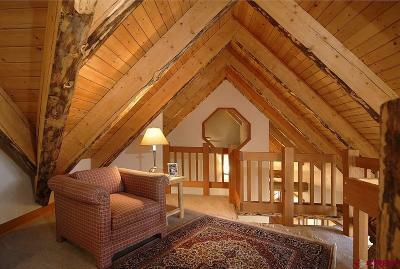 400+ square foot additional elegantly furnished loft area. 1, 217 square foot heated combination 2 car garage/flexible use area with extensive storage. 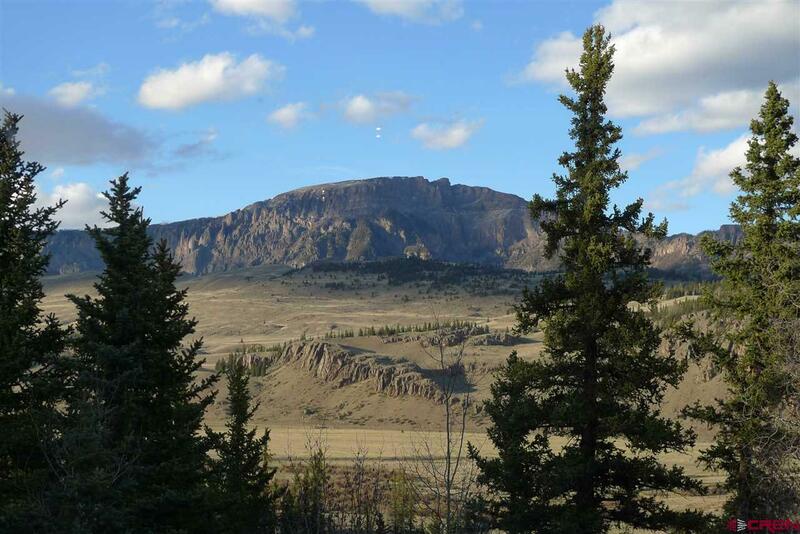 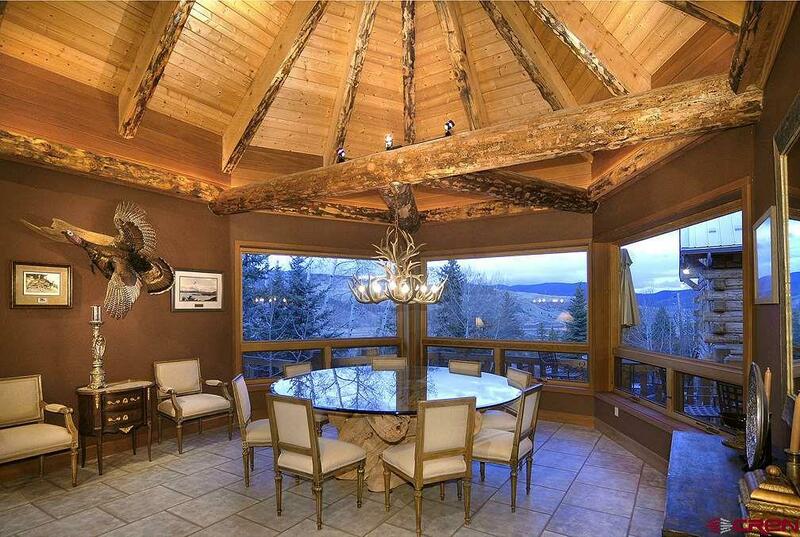 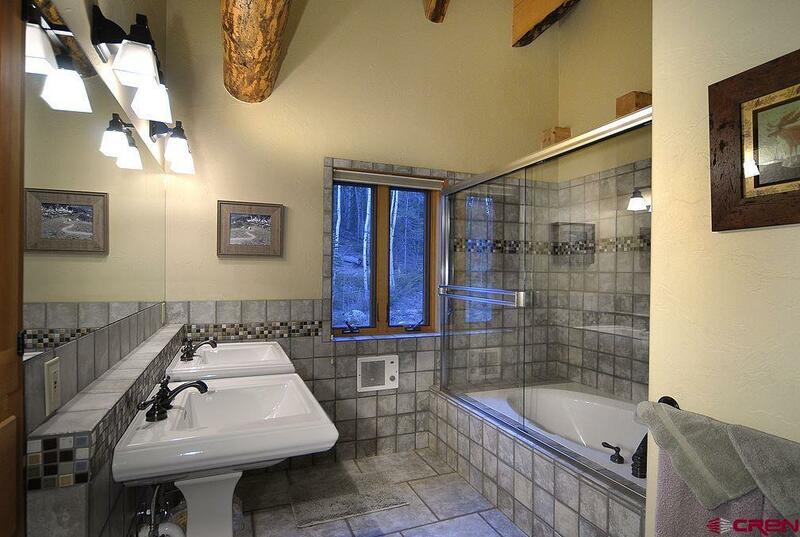 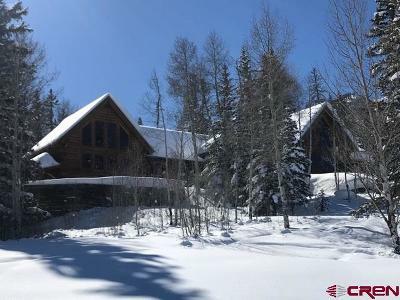 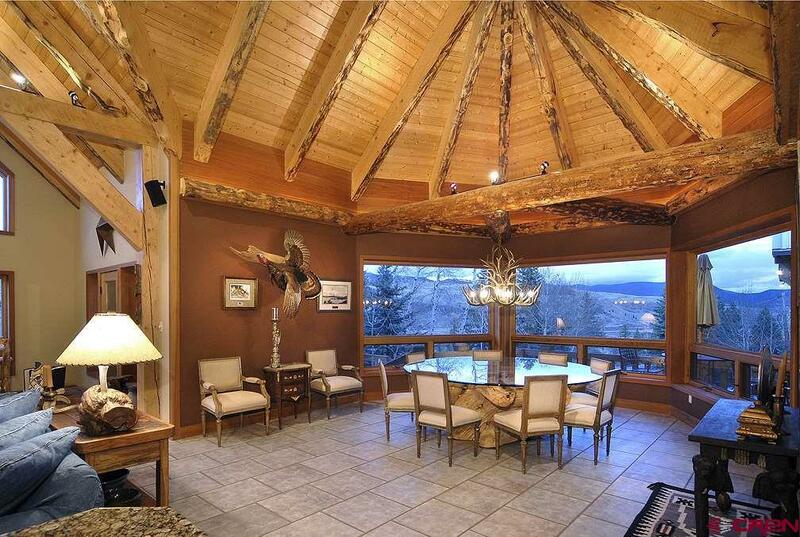 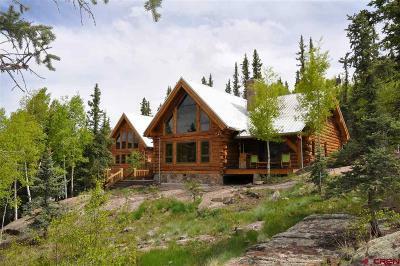 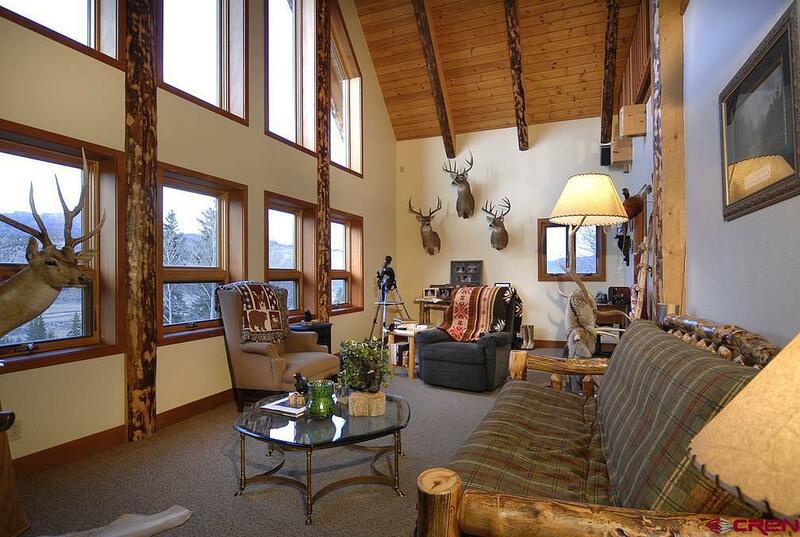 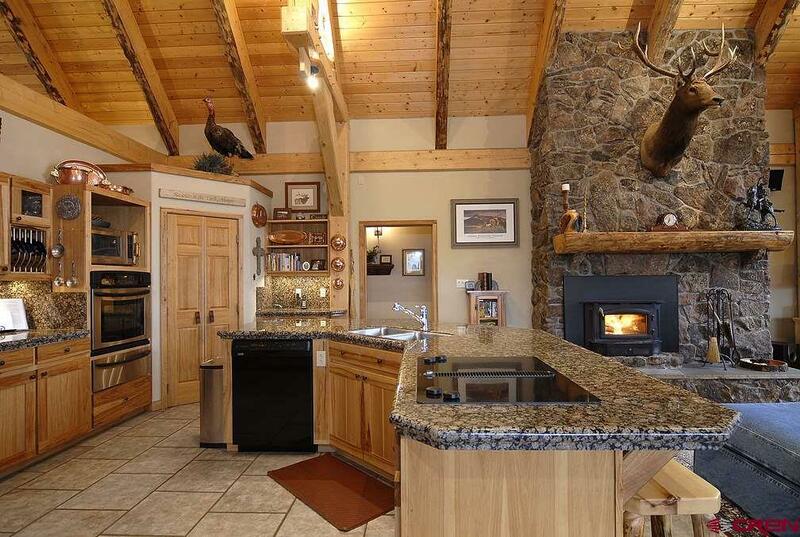 Large decks with amazing views of the San Juan mountains, Bristol Head mountain, Rio Grande River.